Not ‘Wet on a Thursday’ – at least not yet. I’m not so sure about Global Warming, either, as the vegetables I’ve planted look to be shivering instead of blooming. The lawn has never looked so lush, but if you wander too far towards the back, you’ll need rubber boots. 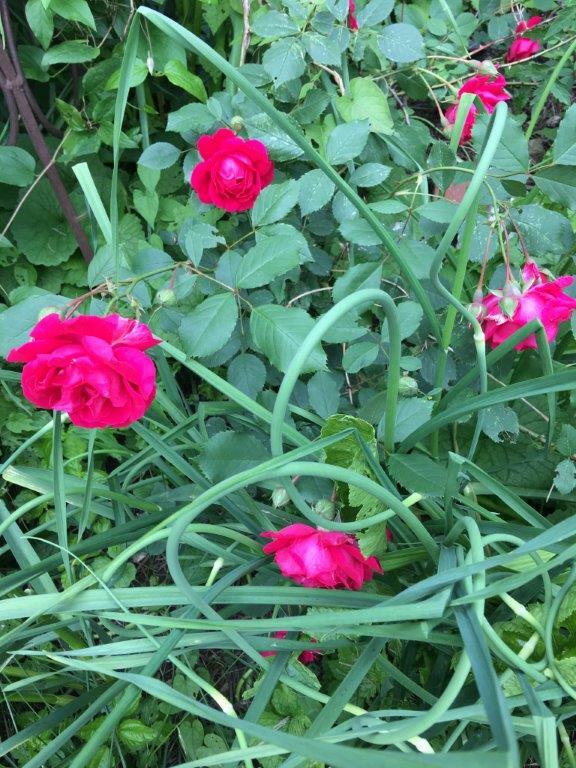 I’ve never had such beautiful roses blooming amidst the garlic – abundant, thick and remarkably free of aphids. 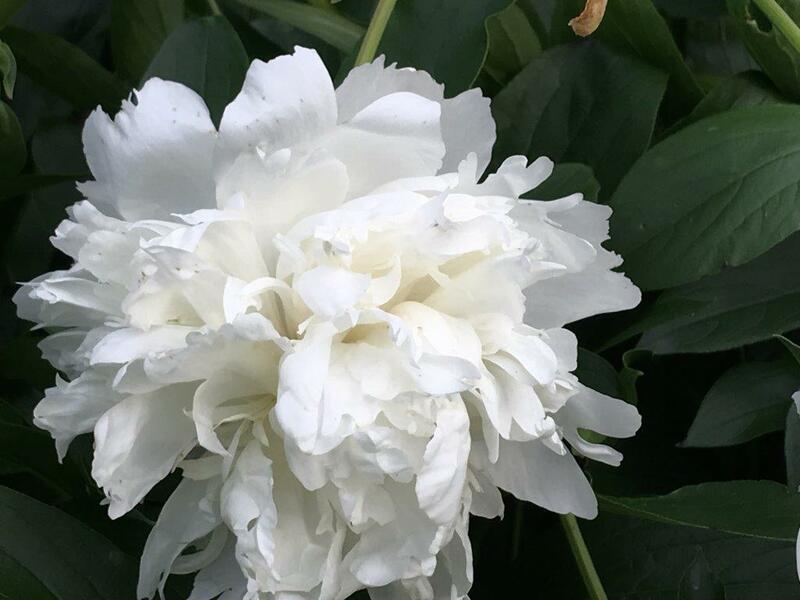 The peonies haven’t yet dropped their fragrant blooms – I run into the yard between showers and stand in front of the flower beds taking deep breaths. Even better, the raccoon who was depositing massive piles of crap under the deck and on the front lawn seems to have moved on, thanks to copious applications of grass-killing ammonia and the three ultrasonic light flashing gizmos Hub stuck strategically around the yard. After the pyrotechnics of this week’s storms and the deluge of rain that fills every container with water and overflows the stream at the back of the garden, the weather has turned chilly (14 degrees this morning), windy and overcast. I’ve taken to doing my walks inside Costco, but that gets boring after a while. Do I give up wine and the occasional desert? Nah, I’m going to sew some more forgiving clothes, that’s all!